Yara Shahidi Pays Homage to Sade in the Most Beautiful Way! 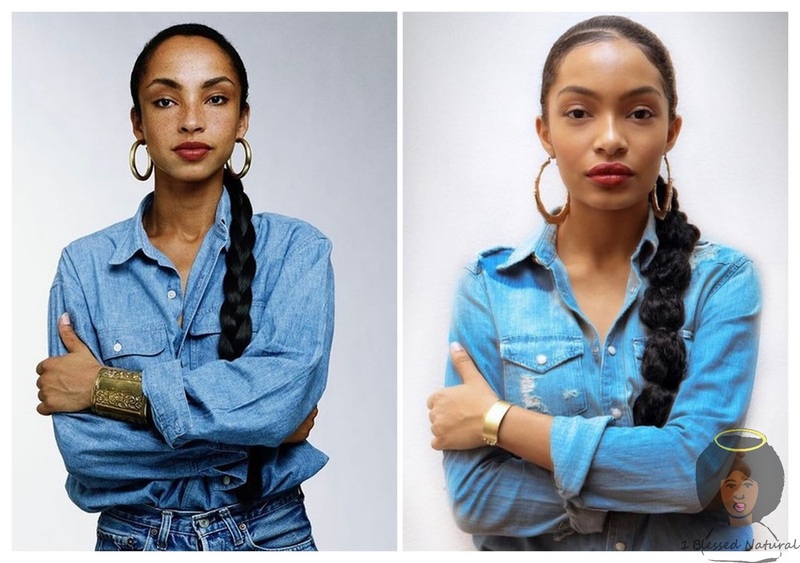 Yesterday, Black-ish star Yara Shahidi paid homage to singer Sade by reenacting one of her most iconic 1980-ish photos. Sade Adu stood in front of a camera with a light denim jacket and jeans on with her arms folded. One gold cuff bracelet hung on the then, 20-something singer's arm. Her braided ponytail hung down one side. Ms. Adu's beautiful freckles popped out from her cheeks. Red lipstick and gold earrings were worn. Fast forward to 2017! Yara Shahidi posted the photo of Sade and then herself dressed as her on Instagram. She captioned the singer's original photo as "The Queen #Sade". When the 16-year-old posted herself, she humbly captioned it as "homage". I love how she did the photo in her own way. 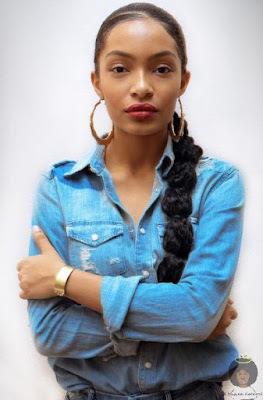 Instead of wearing a large cuff bracelet like Sade, Shahidi opted for a smaller, gold cuff bracelet. There were a few other small differences. In all I thought the photo was super cute! I also love Sade's original photo because it was simple, yet beautiful! Awesome job by both queens! Sade's birthday is January 16th. What a nice birthday present! What do you think of Yara Shahidi's homage to Sade?